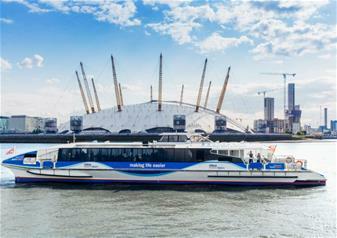 Get your Thames clipper tickets and sail London this summer! Departs Every 20 Minutes from Piers including Embankment, London Bridge, Tower, Greenwich, Waterloo, Canary Wharf and The O2. Departure Place: Every 20 minutes from Embankment, Waterloo and Tower Piers. Escape the crowded tubes and explore London from the deck of the MBNA Thames Clippers! The fastest fleet of boats on the River Thames, the Thames Clippers operate daily with departures every 20 minutes from numerous locations including Embankment, London Bridge, Tower, Greenwich, Waterloo, Canary Wharf and The O2. A perfect way to zoom through the centre of the city, a one day River Roamer pass will also give you unbeatable views of London landmarks that line the Thames. Use your ticket for unlimited river travel and combine it with one of the exciting riverside attractions, such as Shakespeare’s Globe, Tower of London or the Tower Bridge Exhibition.